From the kitchen of One Perfect Bite...It was a busy weekend, packed with food and fun and the company of neighbors and good friends. At the moment, I don't think I'll ever be hungry again. The upside to all the good food we had these past few days, is the wonderful recipes I'll have to share with you this week. Today's salad is an end of summer wonder that goes especially well with grilled lamb or beef. It's packed with color and flavor, and, despite some chopping, it's remarkably easy to make. If you skim through the ingredient list, you'll also see that it is also good for you and your waistline. This is a straight forward recipe and there are no tricks to its assembly, so I leave you to your own devices. I want to thank all of you who have expressed concern for my daughter and her family. They were among yesterday's evacuees from Steiner Ranch in Texas and while they still cannot return home, their house is, thus far, unscathed by the wildfires. My prayers tonight are for those who were not as fortunate. 1) Combine wild rice, 1 cup broth and 1/2 cup water in a small saucepan. Bring to a boil. 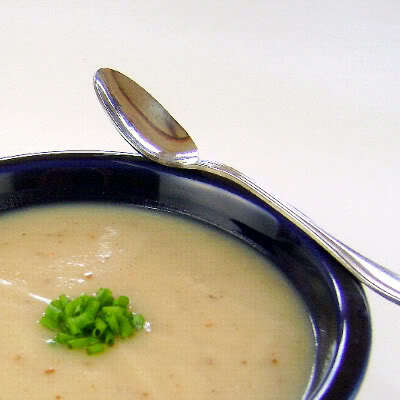 Reduce heat, cover, and simmer for 50-60 minutes, or until rice is tender. 2) Meanwhile, in a large saucepan, combine long grain rice and remaining broth and water. Bring to a boil. Reduce heat; cover and simmer for 15-18 minutes or until rice is tender. 3) In a large nonstick skillet, saute peppers and zucchini in 1 tablespoon oil for 3 minutes. Add onions and saute for 1-2 minutes longer, or until vegetables are tender. Transfer to a large bowl. 4) Drain wild rice and stir into vegetable mixture. Stir in white rice. Sprinkle with salt and pepper. 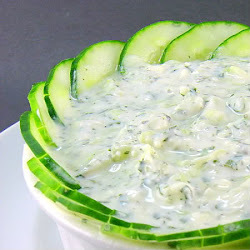 Drizzle with lemon juice and remaining oil and toss to coat. Serve warm or at room temperature. Yield: 8 servings. I did not know anything about the fires in Texas, or your daughter and family. Have you mentioned it and I missed it? So glad to hear they are away from danger, I will pray that their house is not damaged!! Glad to know that your daughter and her family are safe. Your salad looks wonderful, beautiful mix of colours and looks really delicious! Hope you have a good day, Mary, and my prayers too for those affected by the wildfires. I didn't know that your daughter and her family were in any danger. So glad to hear they are safe. Prayers for those in peril. We went through that last week with our son and his wife in Irene's path. Such a helpless feeling. Mary...this is so colorful and it does look yummy ! Glad that your family is safe from the fire and I hope that your daughter's house is not damaged or affected by the fire. Lovelly colours for a really good rice! I am happy to know your daughter is safe. So many people are suffering right now. Summer is coming to an end which is so sad, but then again the fall is my favourite time of the year. The season of comfort foods like this salad. Thank goodness you and your family are ok! This is just a beautiful salad, looks amazingly delicious! I just had wild rice last night. Its my all time favorite style to eat, this may now be my new found favorite will bookmark thank you! Prayers for your daughter and family. Wildfires are a horrible disaster!!! Hopefully, she can go home soon. Your salad looks wonderful -- I do like rice salads and it has a nice selection of vegetables. I will try it sometime. This is my kind of dish---colorful and delish with the hint of fall in the air. This would be an excellent lunch entree for me. I've cut out bread due to post-quitting smoking weight gain and I'm going with veggie oriented lunches. Thanks for a great idea. Happy to hear your family is out of danger. This is a keeper salad recipe; I loe everything about it. Glad to hear your daughter and family are ok, Mary!! What a wonderful blessing. I love this recipe, Mary. And, wild rice is a staple in our kitchen -- so it's a great way to enjoy our garden produce. Your salad looks fantastic, love the beautiful colours, and wild rice is my favorite! It's been a tough couple of weeks for lots of folks, Vermont is still drying out and Texas is on fire and New Orleans has been tested again. Prayers for all. Glad your daughter is safe. Love the colors and flavors going on in this salad. Wild rice rocks! I definitely could use more wild rice recipes. This one sounds perfect for my family's tastes. So glad to hear your daughter and her family are safe. Hi there! I love your blog, especially the part about the recipes being budget-friendly and healthy. You are now officially on my daily blog reads and I will be trying out a recipe or two in the near future. Keep up the great posts! I'm so glad to hear you had such a great time! This looks like the quintessential summer salad! Thanks for stopping by my blog and leaving succh a kinda message! You blog is so lovely too! Love the colors in the dish! My prayers are with your daughter. I'm in Houston and we've been smelling the smoke, it's been so real with all this crazy weather this year. Sounds like you had a lovely weekend, Mary. So glad to hear that your daughter and family are safe. This dish looks and sounds fresh and delicious. Love the variety of colors! Even when I claim I'll never eat again, that hunger always sneaks up! Quite a satisfying,filling salad..soo colourful..
is like a rainbow in a bowl, how delicious! i just love all of those veggies! How colorful and festive! I can't wait to try this. This is a beautiful dish. All these colors just mean pure goodness. 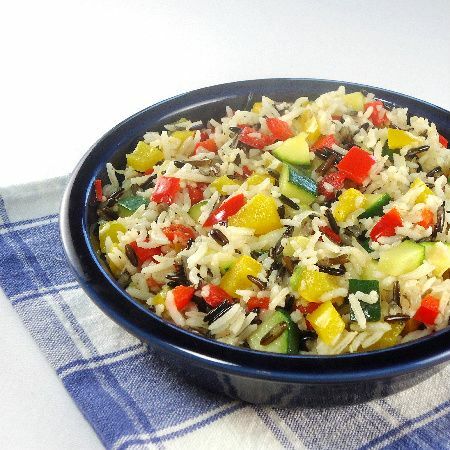 It's the season of wild rice and peppers - just perfect. And even though I consumed more than my share of calories this weekend - the produce is so good - it's irresistible. So glad your daughter and family are safe. It sounds like it finally may be getting under control. So scary. Bravo firemen! I make a white rice salad but I think this one will really taste wonderful. It is so colorful also. Looks delicious! I love all of the colors in this dish! I'm also glad to hear that your daughter is safe. Thank u for visiting my blog and the encouraging words. Your blog is amazing! I like this salad and is so suitable for me (vegetarian). I am glad ur daughter is safe. I do hope they do not suffer any damages to the property. I'm sorry that your daughter and her family had to leave their home, Mary,but I'm glad they're at least safe..Praying for them to go back before long and that their property is not affected by the fires.. Your salad is so colorful and flavorful and light!Hope that you'll have a good day and good news..!! Stunning salad. I love all the color. Oooo, looks delicious. I just bought a large pack of peppers today for a reduced price (8 yellow and orange peppers for 99 cents!! ), and was trying decide what to do with them. Now I know what to do with at least a couple of them, hehe. Glad to hear your daughter and family are ok. It's so hard to hear about the drought and wildfires in Texas, especially when the est of the country is getting doused with rain. This looks great - again, I love these dishes that combine rice and veggies. I agree that this would be great with lamb!